Build the best memories with your loved ones - own this amazing vacation home in Californias High Sierras! 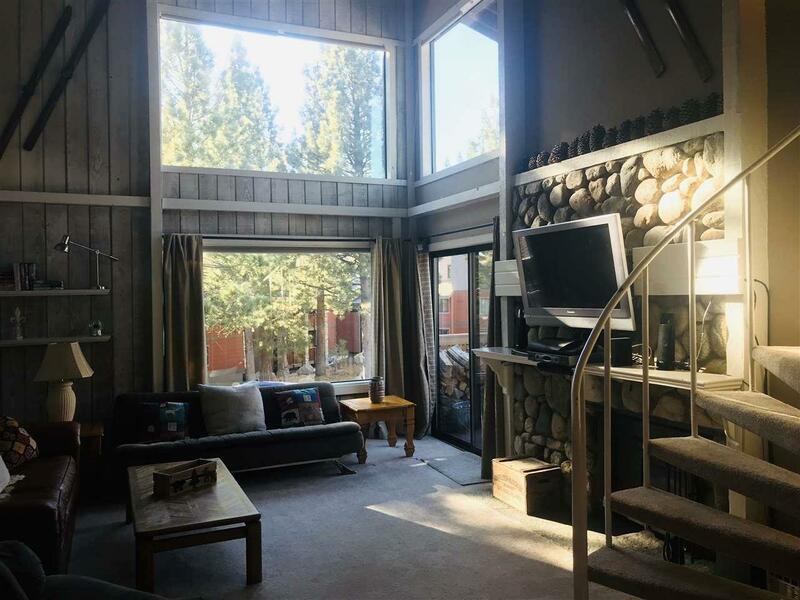 This mountain retreat home can comfortably accommodate 11 people in its spacious 2 bedrooms plus loft (with 2 bunk beds) and 2 full baths, one of which is Jack and Jill style for privacy, creating a feel of the second floor master bedroom. The grand living room offers cathedral ceilings and top to bottom windows to showcase the beauty of the nature around it and allow lots of natural light in. Best location in the complex: put on your gear and walk over across the street to the Eagle Express Lift at Mammoth Mountain! The community offers spas, pools and gym. Its close proximity to grocery stores, dining and towns entertainment will allow your family to enjoy this home away from home for generations! This unit is certified vacation rental and is sold fully furnished and fully equipped. Listing provided courtesy of Kseniya Barber of First Team Real Estate.